CoinFest was the first decentralized convention for digital currencies, occurring simultaneously around the globe. It has always been an open source movement, allowing anyone to host a CoinFest of their own, but the technology for a true decentralized autonomous organization has unfortunately not been developed. The CoinFest leadership, however, has been preparing for the revolution. They began experimenting with multisignature (or “multisig”) Bitcoin technology right before CoinFest 2015, utilizing a 5-key wallet with 4 signatures required. The goal is to come as close to full consensus as practically feasible. Multisig wallets pair multiple private keys with one public key, allowing more than one party to control an address. Anywhere between one and all of the private keys may be required to issue a transaction, allowing a range of account types such as joint or democratic control in addition to consensus. The system–sponsored by CoinKite.com–allows up to 15 signatories. The founder selected a trusted group of organizers from countries around the globe, including Canada, the United States, Finland, Denmark, Russia, the Netherlands, Chile, Brazil, Ghana, Sierra Leone, Botswana, Tanzania and South Korea. 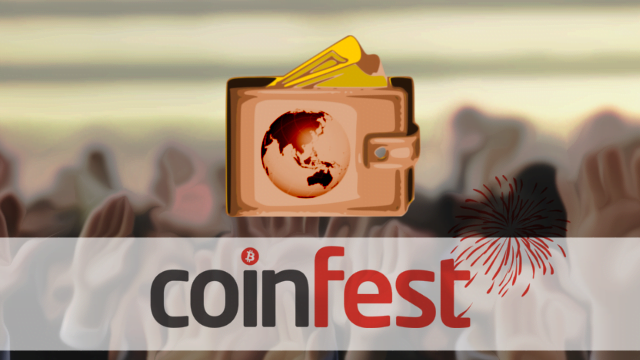 All of the aforementioned countries are planning to participate in CoinFest 2016, with 18 cities already confirmed. Despite its roots in Canada, the plurality of CoinFest activity is now in Europe, with North America and Africa close behind. The Eastern Hemisphere continues to lack organizational volunteers, with none outside the burgeoning Korean Bitcoin community. Although CoinFest 2016 is still almost a year away, their new Bitcoin donation address (33szLDgy8TqgYnkZ7dBX7PVwqw9JdQ4f7Y) has already received its first incoming transaction. BookWithBit–a site which allows users to easily find and reserve hotel rooms for cryptocurrency–became the first sponsor of the year with a donation of one bitcoin. CoinFest plans to hoard it in preparation for the upcoming events.